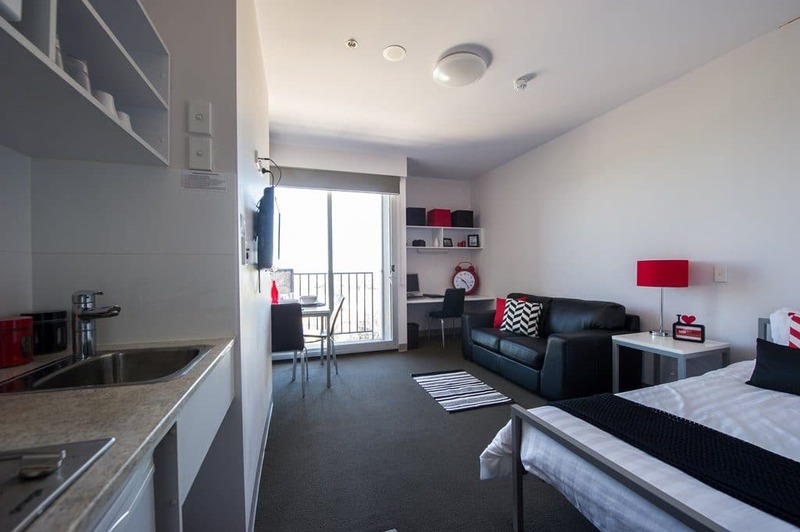 UniLodge on Waymouth is a student accommodation property located in the quiet west end of Adelaide just 30 meters away from West Terrace. 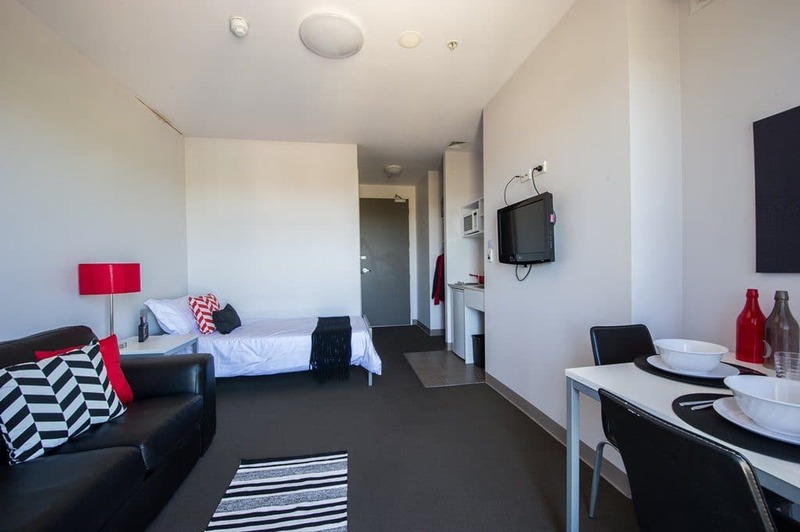 Centrally located, UniLodge on Waymouth is a short walk to the City West Campus of the University of South Australia, Carnegie Mellon (Entertainment Technology Centre) Campus and the Adelaide TAFE. The University of South Australia City East Campus, the Adelaide University, the Adelaide Museum, the Art Gallery of South Australia and the Royal Adelaide Hospital are between 15 and 20 minutes walk away. The property is also a short 7-minute walk to public transport connecting you to Flinders University. 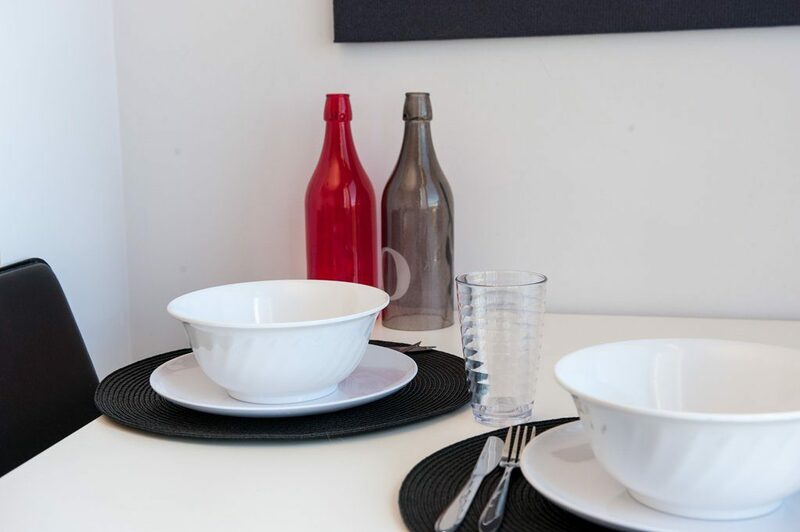 UniLodge on Waymouth is located on the same street as a range of hotels, lounge bars, cafes and restaurants allowing students, their friends and families a variety of entertainment options within walking distance. Self-contained fully furnished single studio apartment with ensuite bathroom. Furnishings include single bed, bedside table, built-in wardrobe, 2-seater sofa, wall mounted 32” LCD TV, dining table with two chairs, study table with chair and pin board. 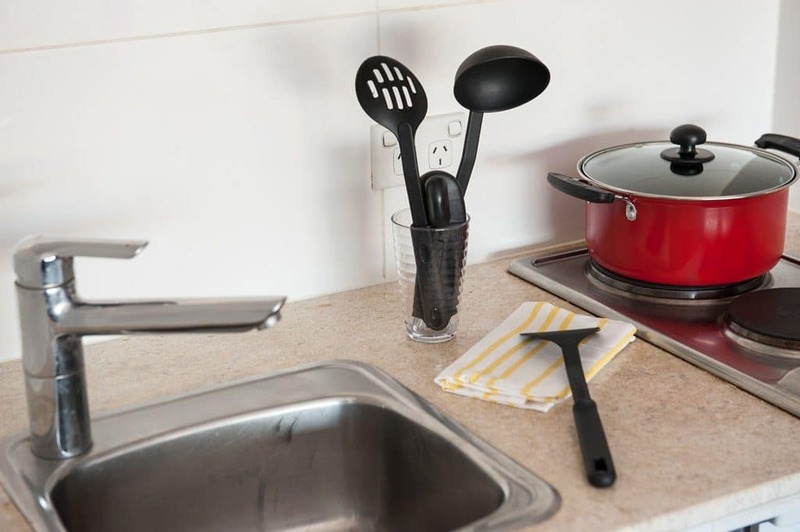 The apartment features a fully equipped kitchenette bar fridge, microwave, 2 burner cooktop, sink and storage. Each apartment has reverse cycle air-conditioning and its own private with fantastic views available from the higher levels. Other facilities include common area kitchen, lounge, tutorial, library, and bike storage and courtyard. An on-site gym available for all residents makes keeping fit and healthy easy. We have a Community Spirit Program seeing us put our great facilities to use with barbeque nights, movie nights, excursions, and life skills events each month. We also have our famous Welcome Parties each semester, with plenty of space to socialise with friends and fellow residents. Fully furnished twin studio apartment with ensuite bathroom. Suitable for two friends who would like to share a room. Furnishings include single bed, bedside table, built-in wardrobe, 2-seater sofa, wall mounted 32” LCD TV, dining table with two chairs, study table with chair and pin board. The apartment features a fully equipped kitchenette bar fridge, microwave, 2 burner cooktop, sink and storage. Each apartment has reverse cycle air-conditioning and its own private with fantastic views available from the higher levels. Other facilities include common area kitchen, lounge, tutorial, library, and bike storage and courtyard. An on-site gym available for all residents makes keeping fit and healthy easy. We have a Community Spirit Program seeing us put our great facilities to use with barbeque nights, movie nights, excursions, and life skills events each month. We also have our famous Welcome Parties each semester, with plenty of space to socialise with friends and fellow residents.